Spring Festival is full of joy and happiness! It is one of the best moments to express your appreciation and thankfulness towards colleagues, families and friends in Chinese New Year. Get together at PH3 in this traditional festive season and be ready for celebration! With our cozy setting, relaxing balcony and convenience location in Wan Chai Lee Tung Street, PH3 is an ideal venue for your delectable party to share joy and welcome in the prosperous Year of the Dog! Sit back and relax! 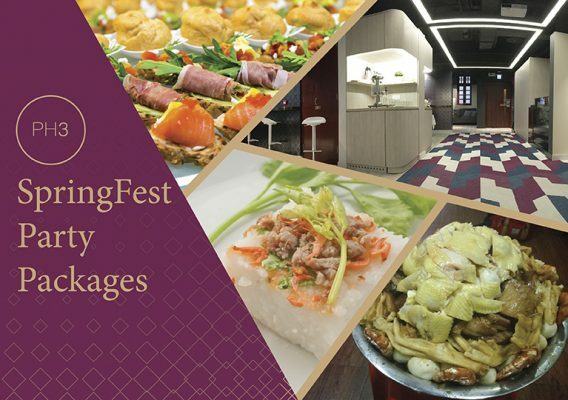 Book your Spring Festival Celebration Venue Now and enjoy a New Year special in the historic building at Wan Chai Lee Tung Street.